Matthew Rosner won a Virginia State Championship in Tennis, and was a State Semi-finalist with the varsity basketball team at South Lakes High School in Reston, Virginia. Recruited to play collegiate sports, Matthew went on to attend and graduate from James Madison University in 1994, with a Degree in Business, specializing in marketing, and sports marketing/management. Since college, Matthew pursued his dream of playing professional tennis, touring on the professional ATP Tennis Satellite Tour as well as gaining valuable experience working for several sports marketing companies promoting Major League Baseball and NBA Basketball, in addition to directing a number of other sports related properties. Matthew has served as President of D.C. Dream, a sports marketing company established to manage athletes looking to play basketball professionally both in the U.S. and internationally. While President of D.C. Dream, the organization operated, marketed, and provided consulting services to a number of professional minor league basketball teams and leagues. Currently, Matthew serves as the COO for the SBA Sports Management and Entertainment Group and is the Director of Basketball for the Street Basketball Association (SBA). 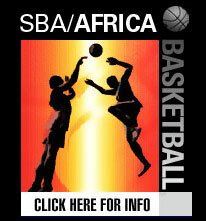 As the SBAs Director of Basketball, Matthew has spearheaded the growth of the street ball industry globally organizing a number of domestic/international street ball exhibition tours, managing several SBA All-star teams competing in international tournaments and tours, and creating a global infrastructure worldwide providing the SBA opportunities to market its exciting turn-key entertainment properties and events. Throughout his 15 year career Matthew has marketed and operated over 150 sports and entertainment events on 5 different continents in the world ranging (from grassroots to the highest level corporate projects and functions) implementing a number of marketing strategies to maximize the overall value of each event as well as initiating and directing multiple 10+ city/country tours managing five to seven figure budgets. Matthew has secured marketing partners with an exclusive list of Fortune 500 companies and sports organizations such as Coca-Cola, McDonalds, Sprite, ATT/Cingular Wireless, Pontiac, Adidas, Nike, NBA Entertainment, NCAA March Madness, NFL Super Bowl, New Era and the CIAA. In addition, Matthews work with the SBA has created a fertile landscape for players to develop their talent in a competitive atmosphere under the guidance and leadership of former NBA professional players and industry professionals from the SBA Sports Management and Entertainment Group. Most recently, Matthew has spearheaded the marketing and development of the corporate evolution of the emerging Street Basketball Industry as well as consulted and worked with global sports marketing, event management companies, and government agencies creating and initiating overall basketball development and marketing programs worldwide. Fortunately, Matthew has been able to spend his professional career marketing the sport he loves utilizing his expertise and sports marketing strengths.